The 911 emergency telephone system is in place in many US cities to assist citizens with POLICE, MEDICAL or FIRE emergencies. Check to see that your area has 911. If not, create a list of the appropriate emergency numbers and place a list near each phone. It should be realized that non-emergency calls to the 911 system or any emergency phone number can create delays in handling other very serious emergencies that require immediate attention. The following are guidelines for the proper use of the 911 system for FIRE and MEDICAL emergencies for most major cities. Learn the system in your area. Learn about the emergency systems whereever you may travel. DO NOT CALL 911 FOR NON-EMERGENCY transportation, use taxi cabs or call a PRIVATE AMBULANCE listed under AMBULANCE in your local telephone directory. Breathing difficulty/shortness of breath/ breathing has stopped. Choking (can’t talk or breathe). Constant chest pain – in adults (lasting longer than two minutes). Uncontrollable bleeding / large blood loss. Convulsions / seizures (uncontrolled jerking, movements the patient may fall to the floor). Major burns (white or charred skin: blisters and redness over large area). Someone who will not wake up, even when you shake them. 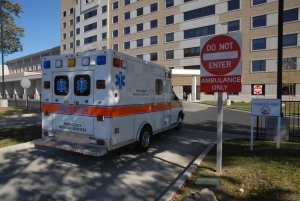 WHAT HAPPENS WHEN YOU REQUEST EMERGENCY MEDICAL SERVICES ON 911? 911 should only be used when a true emergency exists, “POLICE”, “FIRE”, or “MEDICAL”. 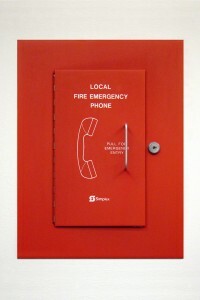 Identify your call as a MEDICAL or FIRE emergency. In many area the dispatcher will ELECTRONICALLY RECEIVE the address and telephone number OF THE CALLER. However, if you are not sure if the emergency system in your area captures that information, tell the dispatcher your address and phone number. WHAT’S THE EMERGENCY? What’s wrong? WHERE IS THE EMERGENCY? Give the address, include building number, apartment number, nearest cross street. The name of the building is also helpful. ARE THEY CONSCIOUS? Yes or no. ARE THEY BREATHING? Yes or no. NOTE: WAIT FOR THE FIRE DEPARTMENT TO HANG UP BEFORE YOU DO. The dispatcher may also provide you with CRITICAL PRE-ARRIVAL INSTRUCTIONS, such as CPR (Cardio-Pulmonary Resuscitation) or the Heimlich Maneuver. Understanding what happens when a 911 call is placed will help the system run more efficiently and will bring you the emergency medical service you need in the shortest possible time. ASSURE THE PATIENT that help is on the way. KEEP THE PHONE LINE CLEAR after the 911 call is made. DIRECT SOMEONE TO WAIT OUT FRONT to meet the ambulance and lead the way. WAVE A FLASHLIGHT or turn on flashers of a car or porch light if it’s dark or visibility is poor. CONSIDER HAVING AN INTERPRETER if the patient does not speak English. HAVE A VISIBLE ADDRESS, easily readable from the street. 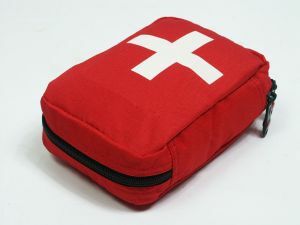 GATHER OR MAKE A LIST OF MEDICATIONS that the patient is using and give to emergency personnel. APPLY DIRECT PRESSURE TO THE WOUND if the victim is bleeding. PERFORM THE HEIMLICH MANEUVER if a choking victim can’t breathe or talk. BEGIN CPR if the victim has no pulse and has stopped breathing.